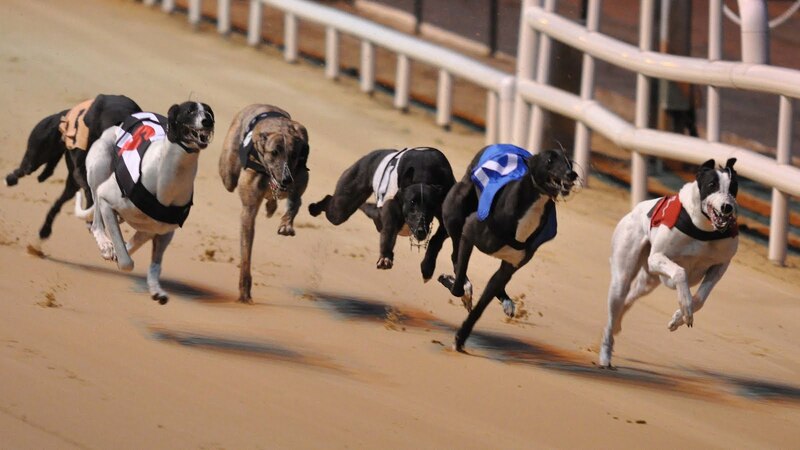 Greyhound racing is back on mainstream TV tonight with five live races on RTE 2 from 8 pm for the semi-final programme in the 2018 Boylesports Irish Greyhound Derby. For me, this renewal houses arguably the greatest strength in depth and the twelve that remain are out of the very top drawer. My only outright investments were pre-competition and only a handy few bob lives on with Crossfield Will but it remains so open that I haven’t considered donating again. For those who will however, there is still plenty of value to be had with 4/1 the field on the sponsors board. Slippy Cian is a deserved favourite and when you can still have Clonbrien Hero and Newhall Missile at 12’s, many will be tempted. If I was going to recommend a punt, the unbeaten Clona Blaze is attractive at 8/1. An extremely complicated draw where the natural starting point must be the Derby’s fastest early pacer Cabra Hurricane. Rarely if ever has a runner reached the third bend as fast as the Longford Derby hero and I’ve already written this week that time is almost irrelevant for the Pat Guilfoyle speedster, within the confines of this stake. That might sound mad but to my mind, his Derby challenge is more about just how big an advantage he can build to halfway before his stamina limitations see rivals bearing down on him close home. He is in no way draw dependent and as such, Trap 1 is perfectly fine now. Or it is until you see his kennelmate drawn beside him. Magical Bale will actively seek the rails whenever drawn away from the inside. Now, sound logic could say that he is surely close enough in Trap 2 that he will run fairly straight from the boxes. He might, even though I still believe he will edge left, but the fact that Cabra Hurricane’s natural gallop when in full flight would see him drift close to the line of Trap 3, this all adds up to a very likely scenario where the Guilfoyle runners, at the very minimum race perilously close and worse, bump! Nobody, apart from their rivals, would wish for that, however, it does bring a serious complication when contemplating a punt on either. The ideal Guilfoyle scenario is Cabra finds a bullet break to avoid this complication, leaving Bale to follow him around, just like the second round. However, and with their horrid draw in mind, the wallet dictates that we must look further out for a bet. So nearly reeling-in the Hurricane last week, Jaytee Taylor displayed a brave battling quality to match his obvious talents when recovering from fourth place off the second bend. Having led-up in his previous heats, a question was asked and Taylor answered. Of course, the same question will be asked here and he will be required to step up on last week’s effort, particularly on the run to the bend. With a sharp Newhall Missile to his inner, it could be argued that he will have plenty of room as that rival will not move outwards to meet him but he must trap smartly to utilise the space or risk a powerful sweep across his nose at the first bend from the early paced Clona Blaze to his outer. 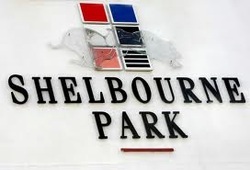 The only remaining unbeaten runner in the Derby has quite literally been paw perfect in four sublime heat victories and Shelbourne Park has truly unlocked a potential that, hands up, I didn’t really see coming after his Produce Stakes exit at third round stage. I fully appreciated the early paced prowess which he had displayed in his career start at Tralee and confirmed at Clonmel but I did think that 550 yards would be a stretch. How wrong that was! His quarter-final win when outstaying Clonbrien Hero to the line was a performance from the very top drawer and revealed a willing attitude. I will now describe him as an early pacer who can stay 550 yards, because he wants to! And that comment is intended as testament to his battling nature, while housing exceptional pace. He is perfectly drawn now in Trap 6 and given the configuration of the heat must be the percentage choice. 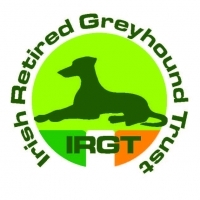 So to the people’s dog of the 2018 Boylesports Irish Derby and the past ten days following greyhound news has seen Newhall Missile give all in the sport a real lift. It’s a story that has everything. A rank outsider defying the odds, a trainer trying to emulate the classic winning achievements of his dad from over thirty years ago and the one that captured hearts far n’ wide, a brave young owner exacting much needed joy from his canine sporting hero who keeps delivering welcome relief form daily struggles with Spina Bifida. 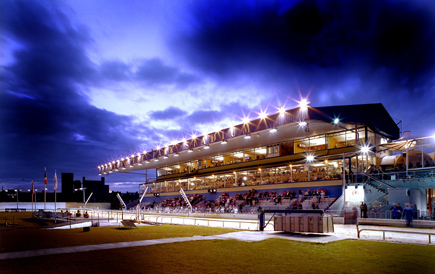 Joint owner of Newhall Missile, Colin Barry will spend what is a rare night away from hospital in 2018 at Shelbourne Park on Saturday as his condition has thankfully allowed this journey from Ennis. For those who have yet to read the article which I was so proud to produce on Colin’s behalf, can do so on the IGB Ownership page but what chance Colin can see Newhall Missile advance to the final? Or even win the semi? The short answer is every chance and with the story set aside while bringing the form to the fore, any top owner would sign a sizeable cheque if offered the opportunity to purchase, in advance of the Derby, a runner would have won three of four heats and posted 29.44! He traps well as a rule, has very decent early pace and sees out every yard. He out-trapped Drive On Tipp a week ago and if the Guilfoyle runners were to come together from their complicated draw, Newhall Missile could again find himself in a forward position. Not a forlorn hope! Overall, I’ll be hoping that Cabra Hurricane takes a flyer for if he does, I believe it will give all runners in behind the opportunity to run their race and may the best three on the night progress. However, in punting terms it’s Clona Blaze to remain unbeaten. It’s not supposed to be straightforward at this stage of the Derby and it certainly will not be so for some highly touted contenders in the second semi-final. Predicting what will happen at trap rise forms the first part of every analysis and any way I look at this heat, the only prediction of any safety is that Totos Park will get a clear run on the outer…..and I’ll look no further for the winner. The star of the Graham Holland kennels, Clonbrien Hero has nothing to prove in terms of class and has become almost an assumed qualifier in any company at any track, so, passing him over in win terms is not a simple decision. However, the draw is very complicated. He himself can just miss the break a touch on the odd occasion and he really wouldn’t want to now because Crossfield Will to his immediate inner can go to the corner in a hurry while unpredictable at trap rise. Further to the inner, Ballyanne Sim has an ideal draw in the context of this race set-up. Now he hasn’t trapped at his best the last twice but he possesses exceptional early pace and if controlling the inside, he puts the runners to his immediate right in a world of hurt. I don’t know what the kennels think but I have Slippy Cian at the head of the Holland five that remain and given the quality amongst them, he would have to be the superstar that he is developing into in order to say that. It’s really only the very best early pacers who lead him to a bend now that he has fully developed his racing skills and given freedom to gallop, he would be the choice here every time. But it just appears that it is easier to predict a bump than a clear run. In fairness though, bumps won’t bother Cian who will dust himself off and fly from the 2nd bend. Whatever position he occupies and however things pan out to the back-straight, I fully expect him to advance. There remains the possibility that Kilgraney Master could really put it up to Totos Park in the early exchanges on the outside but in his current form, it’s difficult to oppose the best housed Toto. The quality of the Derby Plate only pays further testament to the strength of the main event itself and although Borna Gin may be a short priced favourite, the first semi-final is quite open if the Buckley runner is as sluggish this week at trap rise as he was last. He of course reeled in Buckos Dream then while also impressively overhauling Crohane Ronnie late on, which is no easy task. As one of the best in training, we know he can go faster than that 29.79 but unless odds against, I’d rather watch him coming through traffic than sweat at every corner. It’s a no bet race for me as Gin has a complicated draw which I find hard to predict and it could be the same two runners he is chasing down the back as Crohane Ronnie and Buckos Dream are well housed on the flanks. If I was going to suggest a sneaky fiver, I’d say risk Skywalker Rafa. Blessed with early pace, he got it wrong from traps last week but ran a cracker when appearing as good as ever despite defeat. If back in his best breaking form, he could pup up again here at a price. With three first round winners, this is clearly a hot affair and it looks set to be a saucy run to the bend amongst the outer traps. I’m a Droopys Davy disciple, couldn’t be anything else having been so immersed in the Kirby and there’s few in racing that possess his genuine wow factor. You could type all day about his rivals here but as with most races for Davy, if he gets it right, he wins. This is a proper test but he appeared to be nearing his best last week, albeit with more left in the tank I’d suggest. Maireads Spring won’t give him anything easy on the outside and Gurteen Feather is a game as you like while in brilliant form but keeping his middle path at the bend, I expect Davy to take control with his slingshot into the back-straight. Frisky Luck might be short enough here but the race certainly does seem to set up well for the James Melia star. Fast starts are rare from the respected Wichita to his immediate inner, an assertion that can also apply to Clonbrien Prince so the favourite looks very likely to lead on the outside. It could be a dice between Our Lovely Tune and Howth Head for early supremacy on the inside and as is usual, the entertaining Panther will probably have a wall of dogs in his path at the top of the back-straight. The latter can never be ruled out but should Frisky Luck trap well and get the predicted clear run, he can prove too difficult to haul back and is the logical selection. The biggest threat can be Clonbrien Prince if he can find his best break for a forward position, as he can too fly from the second turn.